Erna received her undegraduate degree in biochemistry from the University of Iceland in 1999. After working at deCode Genetics for two years she joined a doctoral program in Biological Sciences at Columbia University in New York City. There she studied transcriptional control of cell differentiation in the mouse epidermis and immune system, in the laboratory of Professor Kathryn Calame. She received the doctorate in 2007 for her thesis on the transcription factor Blimp1 in epidermal terminal differentiation. Erna then joined the group of Azim Surani at the Gurdon Institute at Cambridge University, to study the transcriptional contol of embryonic cell fate decisions, focusing on the the specification of mous primordial germ cells. Erna joined the BioMedical Center at the University of Iceland in 2012 to conduct research into the transcriptional control of cell state transitions in health and disease. Kimberley completed her B.Sc. honorurs year at the University of New South Wales in Sydney, Australia in 2013. During her undergraduate studies she investigated the use of small molecule inhibitors of epigenetic regluators in acute myeloid leukemic stem cells. She joined the laboratory of Eiríkur Steingrímsson at the BioMedical Center in early 2014 to study transcription factor interactions in melanoma, after which she embarked on her doctoral studies in our lab in the fall of 2014. Kimberley is interested in the interactions between non-coding RNAs and cis-regulatory sequences for the control of transcription. Her current model system is multiple myeloma. 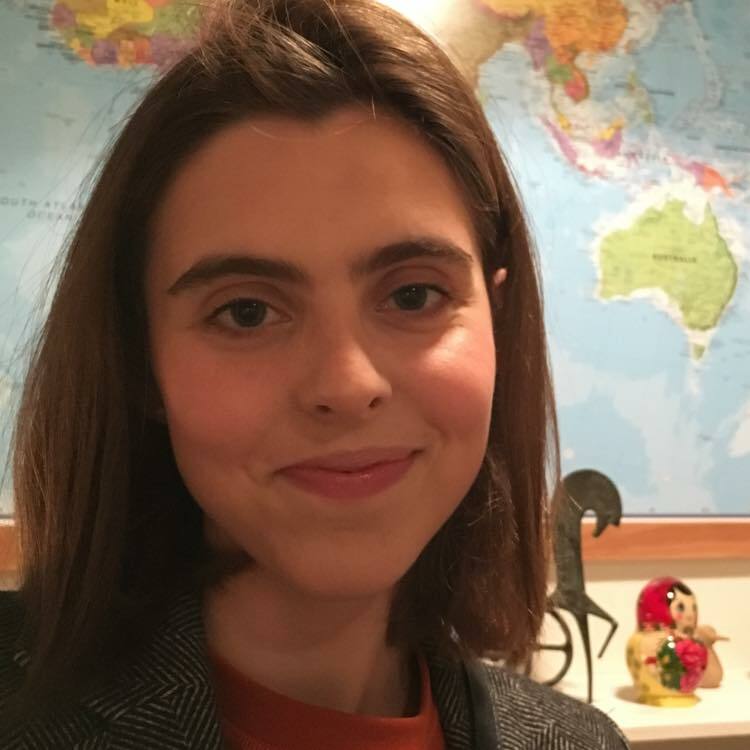 Árný finished her BS degree in Biomedical Science in the spring of 2016 and joined our group in January 2017 to pursue her Master's degree in Biomedical Sciences working on the transcriptional control of Waldenström's macroglobulinaemia. She defended her thesis in the spring of 2018 and is now in the role of laboratory manager with the group. 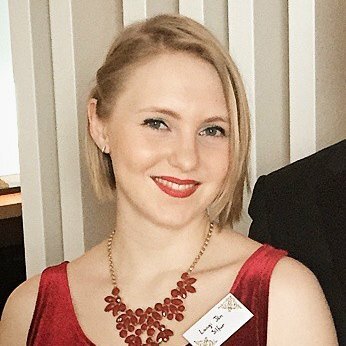 Guðrún started her medical studies at the University of Iceland in 2016 and joined our group in the summer of 2018 investigating polycomb factor proteins in Waldenström's macroglobulinaemia. Daisy completed her B.Sc. in Molecular Biology and Biotechnology at the University of Nairobi, Kenya in 2014 and completed her Masters degree in Biochemistry from the University of Bordeaux in the summer of 2017. During her master's studies she worked on splicing factors in C.elegans using both biochemical as well as genetic approaches. Previously she held internships at the World Agroforestry Centre as well as the Kenya Wildlife Service veterinary services department where she amongst other things participated in the Barcode of Wildlife Project Kenya with the objective of improving wildlife forensics in Kenya. Daisy studied cell fate commitment of mouse embryonic stem cells in our laboratory. Birgit is completed her BS project in Molecular Biotechnology in our laboratory as an Erasmus exchange student from FH Campus Wien - The University of Applied sciences in Vienna during the spring semester of 2017. He work involved a study of the effects of Waldenström's macroglobulinemia chemotherapy drugs on transcription factor expression. Kristján received his undergraduate degree in biochemistry from the University of Iceland in 2014. His undergraduate thesis centered on the role of the transcriptional regulator Mitf in melanoma, which he did with Eiríkur Steingrímsson. After his graduation he joined our lab to study the impact of cis-regulatory sequences and their long range interactions on transcriptional control in Waldenström's macroglobulinemia. He finished his Master's degree in the spring of 2016 and is now pursuing his Ph.D. at the EMBL in Monterotondo. Aðalheiður embarked on her medical studies at the University of Iceland in 2013. She spent the two summers studying the role of the transcriptional repressor Blimp1 in multiple myeloma in our lab. Aðalheiður finished her Bachelor's degree thesis on the role of Blimp1 in Waldenström's macroglobulinemia in the spring of 2016.